Find everything you need to understand the investment process, required paperwork, and the various IRS regulations. Private Placements is a term that refers to investing in privately-held entities, such as companies or small businesses. Banks have recently tightened their purse strings when it comes to lending to these entities, creating a higher demand for development capital from investors. 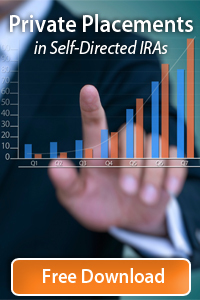 For those seeking funds, obtaining capital from a self-directed IRA owner can be simpler and faster than the loan process with institutional lenders. 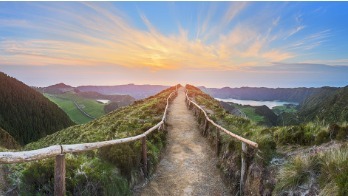 For self-directed IRA owners, this type of lending has the potential to bring higher returns than the stock market or CDs. Some entities do not allow investors to sell or withdraw funds for a fixed amount of time. If you are close to retirement, make sure that this will not interfere with your required minimum distributions. Earnings from the entity might be taxable to the IRA, even if they are not paid out. LLCs are considered securities in some states and may be required to meet the standards of securities offerings. Creating an IRA LLC will give you "checkbook control" over your retirement funds. Learn more about this strategy here: What is Checkbook Control? To learn more about the different ways your IRA can invest in private placements, or to make a private placement investment, please contact us today.